Island visitors try their hand at the tapestry loom during Mary Burns' community weave in demonstration. August 2018. We are currently working on the events for the winter 2018-2019 season as well as for Summer 2019. 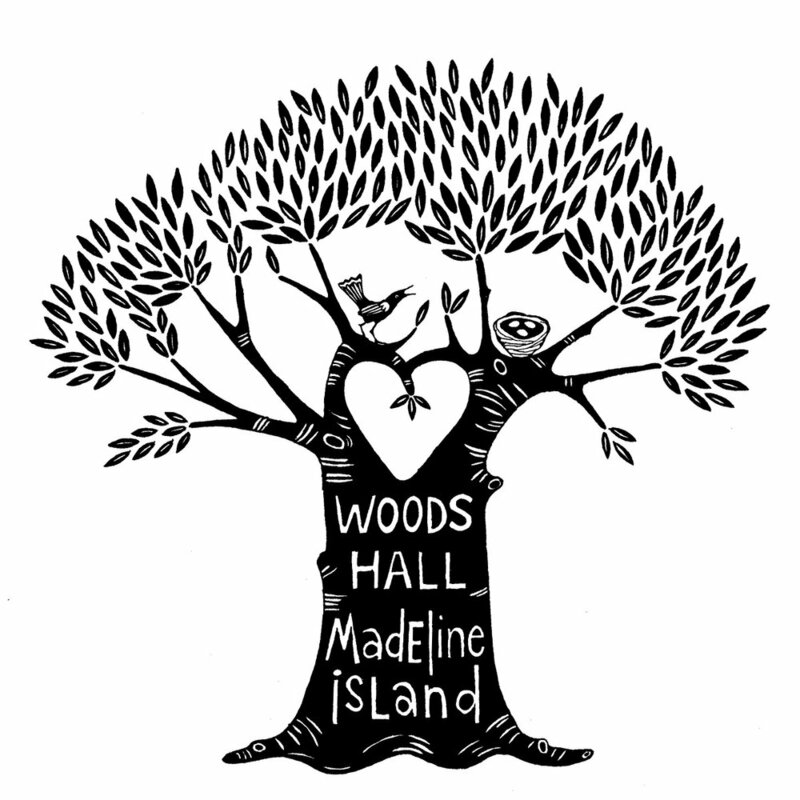 Please follow us on Facebook & Instagram for routine updates throughout the season @woodshallgallery; join the mailing list by clicking on “CONNECT” above, and sign up for updates via the Madeline Island & Bayfield Chambers. Stop by for original art by local artists. We feature paintings, cards, knitted scarves, mittens and hats, as well as Madeline Monsters, pottery, jewelry, sculpture, weaving, felted and printed textiles...and much more! LOCATED NEXT TO ST. JOHN’S CHURCH ON MAIN STREET, JUST THREE BLOCKS OFF THE FERRY DOCK.